Develop a love of learning with these fun-filled activities that will build a solid foundation for future academic success. 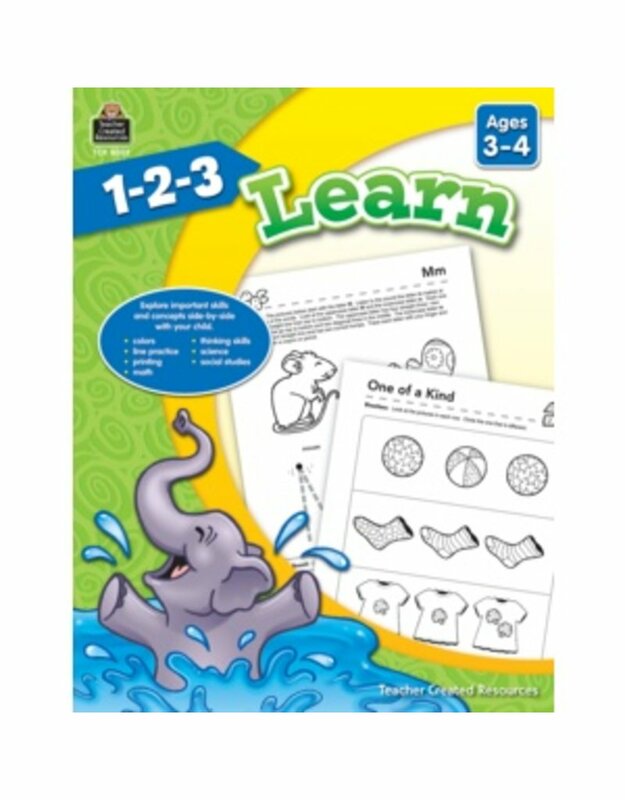 Each page in this 1-2-3 Learn book was designed as a guide for exploring and developing important skills and concepts including identifying colors, naming and tracing lines, letters, numbers, and shapes, recognizing letter sounds and exploring number concepts. In addition to the lessons, each page includes extension activities designed to enable a child to make connections between the skill or concept being explored and his or her world. 128 pages.